Documentary featuring home movies of the diehard enthusiasts and boat owners who helped to save the inland waterways for the nation and create a second golden age of the canals. Most people thought that when the working traffic on canals faded away after the war, it would be the end of their story. But they were wrong. A few diehard enthusiasts and boat owners campaigned, lobbied and dug, sometimes with their bare hands, to keep the network of narrow canals open. 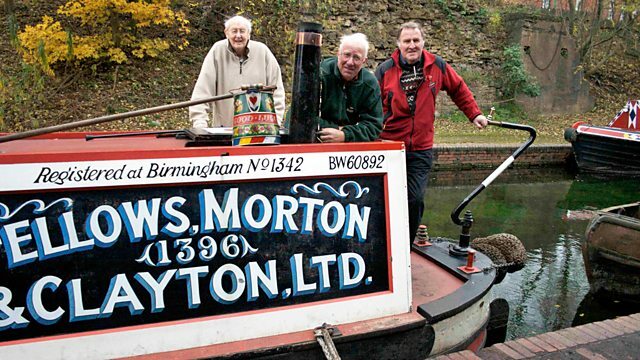 Some of these enthusiasts filmed their campaigns and their home movies tell the story of how, in the teeth of much political opposition, they saved the inland waterways for the nation and, more than 200 years after they were first built, created a second golden age of the canals. Stan Offley, an IWA activist from Ellesmere Port, filmed his boating trips around the wide canals in the 40s, 50s and 60s in 16mm colour. But equally charming is the film made by Ed Frangleton, with help from Harry Arnold, of a hostel boat holiday on the Llangollen Canal in 1961. There are the films shot by ex-working boatman Ike Argent from his home in Nottinghamshire and looked after by his son Barry. There is astonishing film of the last days of working boats, some shot by John Pyper when he spent time with the Beecheys in the 60s, film taken by Keith Christie of the last days of the cut around the BCN, and the films made by Keith and his mate Tony Gregory of their attempts to keep working the canals through their carrying company, Midland Canal Transport. There is film of key restorations, the Stourbridge 16 being talked about with great wit and affection by one of the leading activists in that watershed of restorations in the mid-60s, David Tomlinson, and John Maynard's beautiful films of the restoration of the Huddersfield, 'the impossible restoration', shot over two decades. All these and more are in the programme alongside the people who made the films and some of the stars of them. Together they tell the story of how, in the years after 1945, a few people fought the government like David fought Goliath to keep canals open and restore ones that had become defunct, and won against all the odds.